Been diving in Toya Pakeh? Please Vote! Toya Pakeh has a good collection of beautiful bommies, some very large sponges, and a good level of coral cover. The dive site is found in a large bay and so the site is partially protected from the strong currents that run through the area. The dive site has many different types of marine life and there are often large schools of fish covering the whole dive site. The dive site is located near Nusa Penida and drops down to over 40 metres but divers will average depths of around 15 metres. Visibility is really good and can reach 30 metres and rarely drops below 20 metres. Currents are often mild but they can be quite strong. From July to October, divers should also be able to spot the rare ocean sunfish or Mola Mola. Divers will find that they need to swim through the vast numbers of fish in the area and they should expect to see batfish, triggerfish, and giant trevallies. They will also be able to spot napoleon wrasse, octopus, lobsters, cuttlefish, lionfish, damselfish, anthias, butterflyfish, porcupinefish, and batfish. Larger pelagic are also common here so divers should look out for reef sharks, nurse sharks, barracudas, and tune fish. On top of this, there are also smaller creatives found in the nooks and crannies including nudibranchs, orangutan crabs, and blue ribbon eels. Toya Pakeh is a variety of steep walls and terraced reefs which houses some incredible marine life. The site varies in depth but is suitable for most dive levels and guests will be treated to excellent views of very healthy reef systems which have had minimal damage from the pontoons nearby. 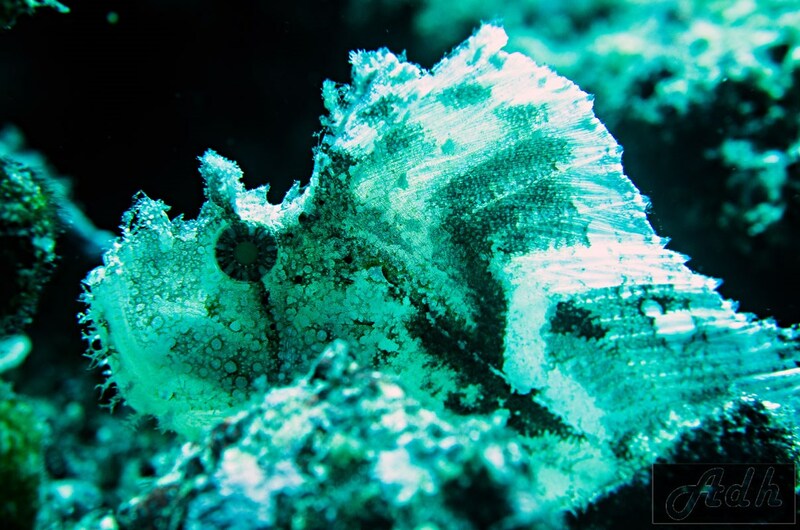 As you dive you will see a variety of fish and invertebrate life on the reef; such as damsels, banner, scorpion fish, decorator crabs and commensal shrimp. It’s always important to keep an eye on the blue as you can occasionally giant trevally, mola and dogtooth tuna hunting or cruising past. At deeper parts of the site, it is common to also see reef sharks and huge marbled rays. I would always be mindful of the currents when entering the site to ensure you can maximise the dive time on site and don’t potentially miss some of the site. Map of Lembongan, Penida, Toya Pakeh dive site.